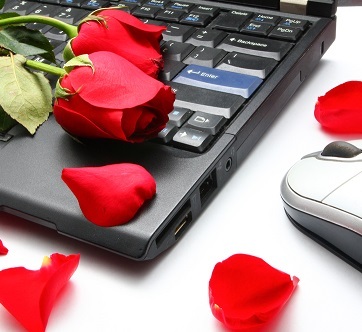 Everyone is looking for love, and in this digital age, many turn to online forums to find it. 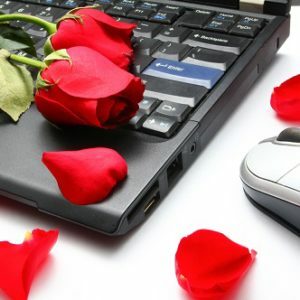 While many do find great relationships or fun dates through dating websites, others have felt the sting of costly scams. Monetary loss coupled with a broken heart? Far from a match made in heaven. It’s easy to get heart eyes when you’re matched with a good-looking, seemingly successful suitor. Chances are that scam or not, things will start off going well. Here are a few warning signs that could help you avoid going from love-struck to catphished. Questionable profiles. Maybe they only have one photo, or all of their photos seem professionally done or staged. Try doing some Google searching to see if the same photos come up, or find the person on other social media sites. The person could be too good to be true if they only have a few friends or if their friends also seem fake. Rushing into things. It’s easy to feel connected to and invested in someone when they tell you all of the things you want to hear. But, don’t let yourself get rushed. A hastiness to get serious may imply a double agenda. Location, location, location. Often, scammers will tell you that they live near you, but are self-employed, temporarily overseas, or in the military so they are often out of town or in a different country. Generally, not wanting to meet in person is a catphishing red flag. Changing the medium. Your match may tell you that they’re unable to continue talking on a dating site because their membership is ending or they forget to check their profile. Dating sites often have ways to spot fraud, so they’ll want to keep their suspicious activity off the site by switching to texting or emailing. Money can’t buy you love. Your online sweetie may suddenly request money due to an emergency. Scammers may say that a monetary contribution will make it easier for them to come visit you and meet in person, but really they’ll take the money and run. Don’t give away too much about yourself in your profile. Ensure that all of your photos are free of personal information. No matter how attractive you think you look in a photo, don’t post one that shows any personal information whatsoever, even if it’s in the background. Trust your instinct. There may be little clues that someone is scamming you, like claiming to be highly educated but they struggle with basic spelling or grammar. If you do talk to the person on the phone, match their voice to their profile. An accent very different from where they say they’re from may be reason for skepticism. Seek advice. We all know that the prospect of love can sometimes cloud our judgment, to say the least. Run situations by a person you trust. Their point of view may aid you in avoiding a painful situation.